Dogs love sleeping on furniture. Kuranda Beds give dogs their own comfy, off-the-ground bed that relieves stress on joints. Sleeping on an elevated surface evenly distributes a dog’s weight, eliminating pressure points like hips, elbows and shoulders. Dogs wake up feeling healthy and happy. Cats love perches, platforms and shelves. 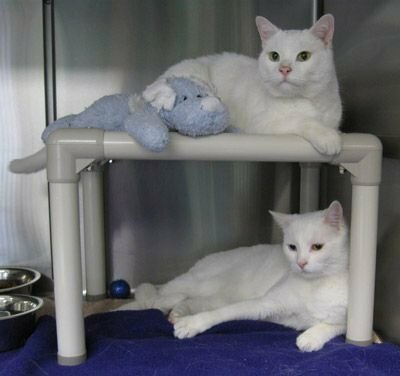 Kuranda Cat Beds and Towers give them plenty of perch options so that they can find a safe place to hide or keep an eye out from above. The Cat Beds are created to be used in smaller spaces, giving nervous cats a safe space underneath the bed and a great vantage point from on top of the bed. The same is true with our Cat Towers. Cats feel safe in the lower perches and can keep a good look out from the top levels. Take this link to go directly to Kuranda&apos;s website benefiting Little Woman Home for Animals. 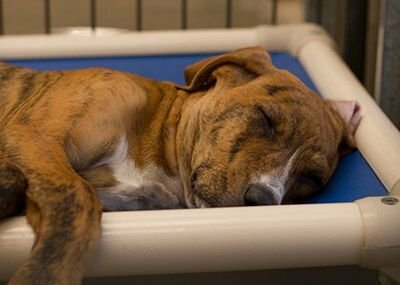 Learn more about the advantages of providing a Kuranda Pet Bed, find out about memorial pet bed gifts and even order one that will be shipped directly to LWHA from Kuranda at a special discount price!